4 Bdrm Detached Villa. Ground flr: V/bule. Hall. Cloakrm with wc. Study. Lounge. Breakfast kitch. Dining rm/Playrm. Family rm. 1st flr: 4 Bdrms, 1 with ensuite shower rm. Bathrm (CT band - E). Garden. Garage. Parking. 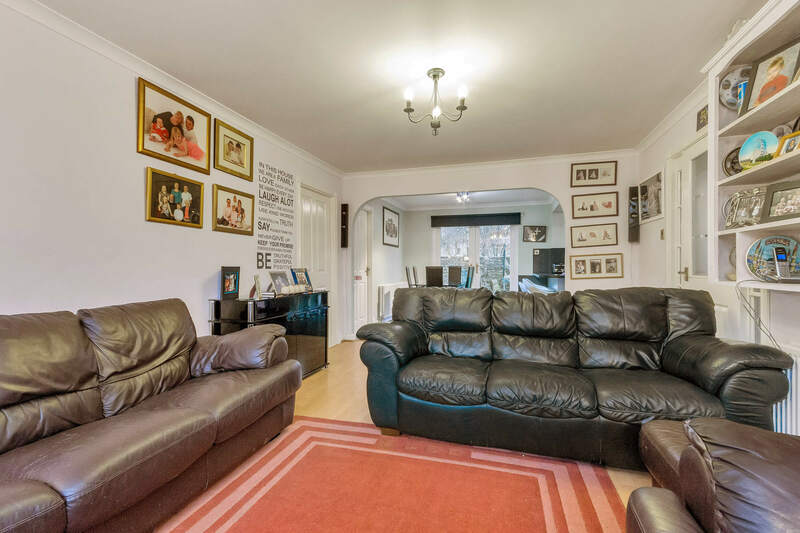 Price over £265,000 Entry by arr. Viewing contact solicitors. (EPC band - C). 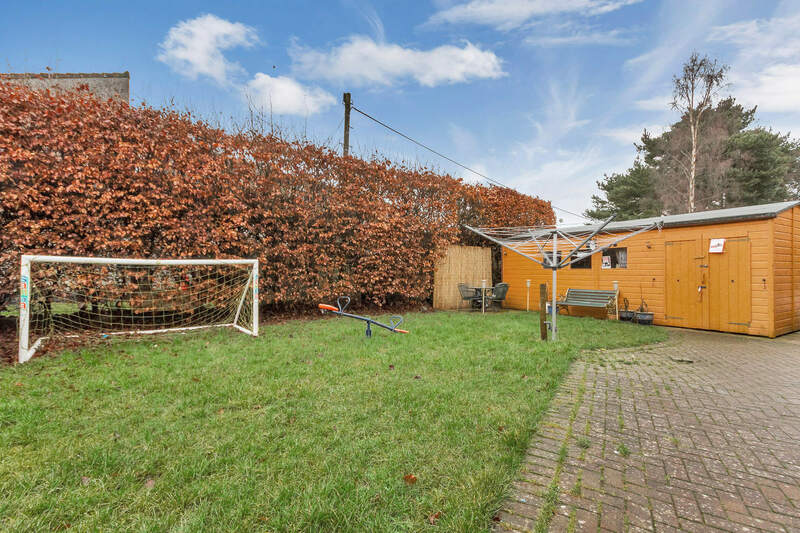 This extended detached villa was built around 1995 and it has been well maintained over the years. It has been upgraded by its current owners to offer extremely comfortable accommodation by today’s expectations. The rooms are generously proportioned and beautifully presented with many fine features and quality extras included in the sale. 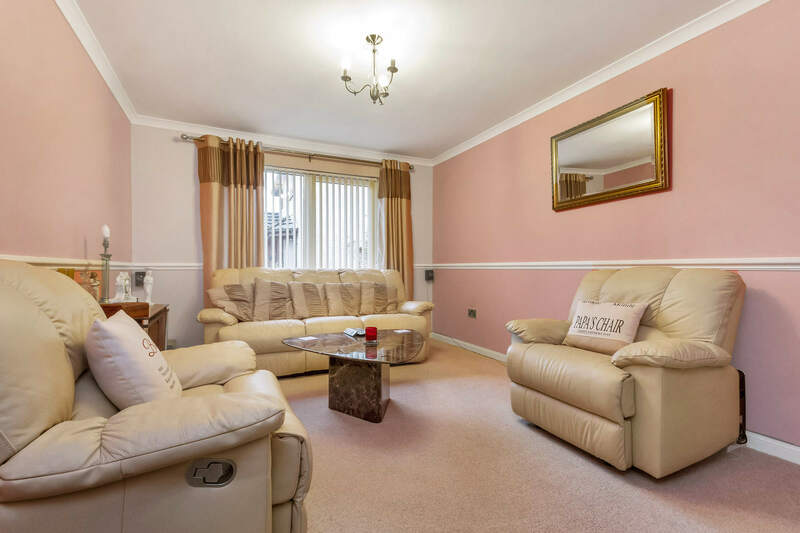 The accommodation comprises entrance vestibule, central hallway, lounge, family room, formal dining room/playroom, luxury fitted breakfasting kitchen, study and cloakroom/WC on the ground floor; while upstairs there are 4 bedrooms, an en-suite shower room and the family bathroom. The property benefits from full insulation, gas central heating and double glazing which combine to give economical running costs. There is a single garage and large driveway which provide off street parking for the family’s cars. It is surrounded by easily kept gardens which are largely recreational. 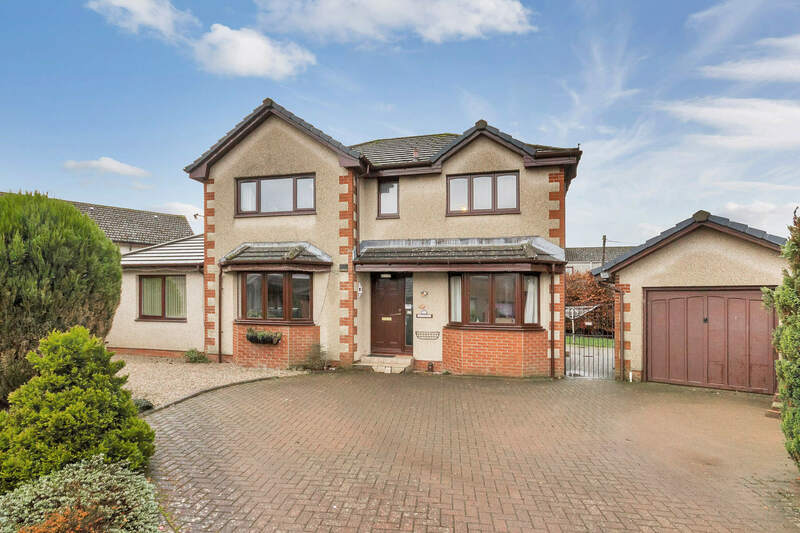 Early viewing is strongly recommended to fully appreciate the value for money offered by this splendid extended detached villa which offers exceptional value on today’s market and will appeal to family home purchasers. Accommodation A solid timber door gives access to the entrance vestibule which leads directly through to the lower central hallway by way of a glazed door. A cloak cupboard has a hanging rail and provides storage, coat hooks. The central hallway gives access to the lounge, kitchen, cloakroom and bedroom six; while the central stairway leads to the bedrooms and bathroom on the upper floor. Study With a bay window to the front of the property, this room is currently used as a study or office it could be easily utilised as a single bedroom if required. Cloakroom/WC Convenient downstairs cloakroom with whisper peach suite which comprises back to wall toilet and vanity style wash hand basin with low-level storage and vanity shelf. Window to side, vinyl flooring. Lounge The lounge is accessed by way of a glazed door from the central hallway. 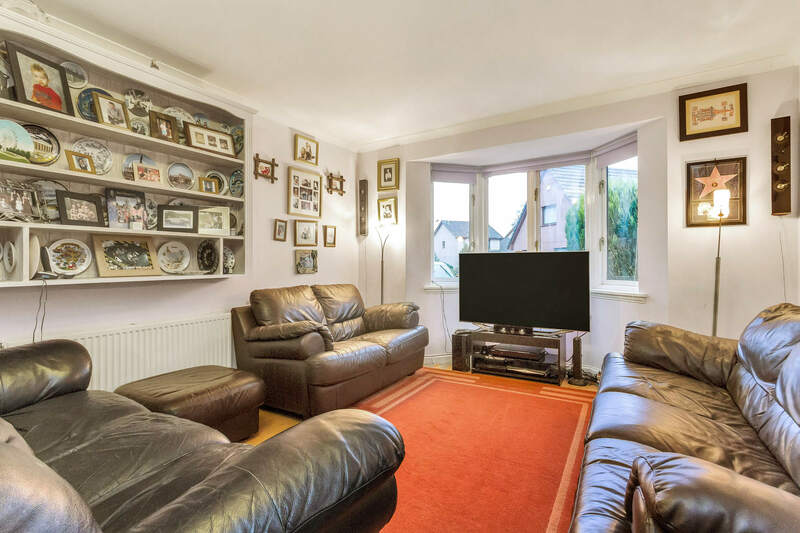 It is a bright and very spacious public room with a bay window to the front enjoying a pleasant aspect in a north easterly direction. Laminate flooring, pendant light fitment, Sky TV point. An open plan archway gives access to the dining area. Laminate flooring, decorative coving. 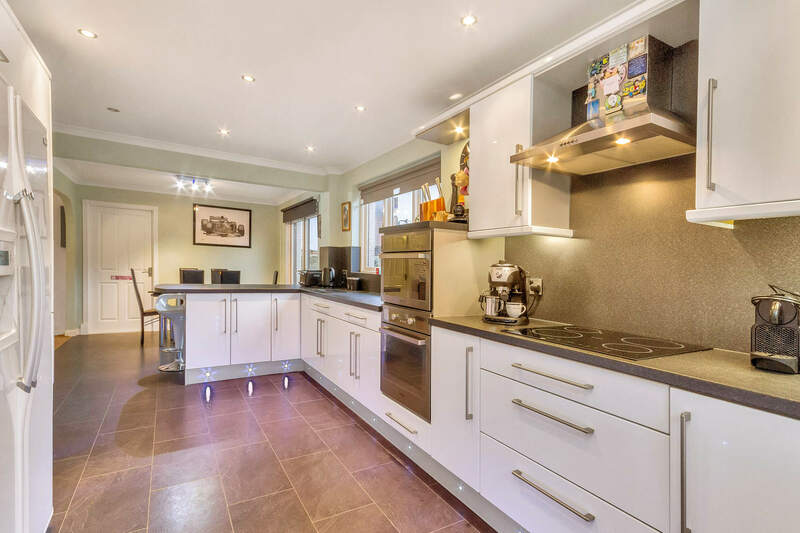 Breakfasting Kitchen This is a luxury fitted kitchen with substantial storage/workspace in wall and floor mounted storage units with high-gloss white veneered doors, stainless steel handles and matching dark laminate worktops. The Schott Ceran induction hob, Hotpoint double oven and grill, extractor hood with stainless steel canopy, integrated dishwasher and LG American fridge freezer are all included in the sale. Vinyl 1 ½ bowl sink and drainer with laminate splash backs. A glazed door gives access from the hallway. 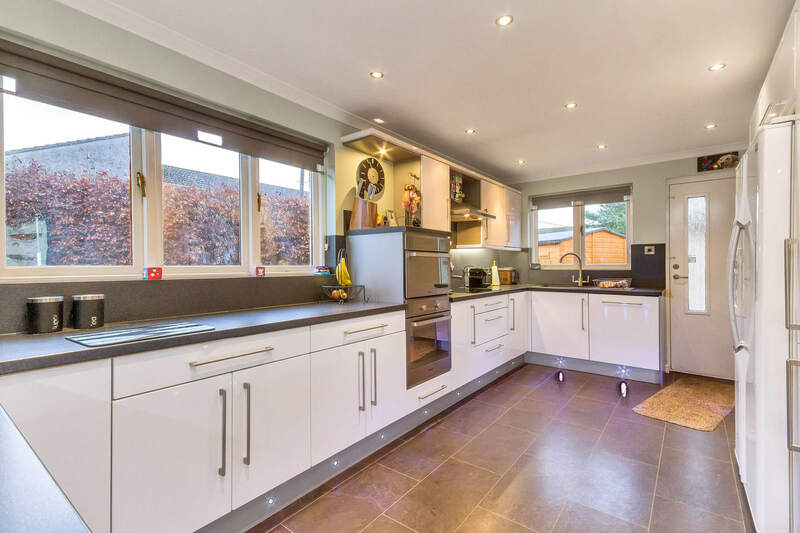 A security door gives access to the rear garden, vinyl flooring, recessed down lighters, decorative coving, window to rear, recessed down lighters, roller blinds, dual lighting beneath the wall units, a cupboard houses the Worcester combi boiler and provides additional storage. 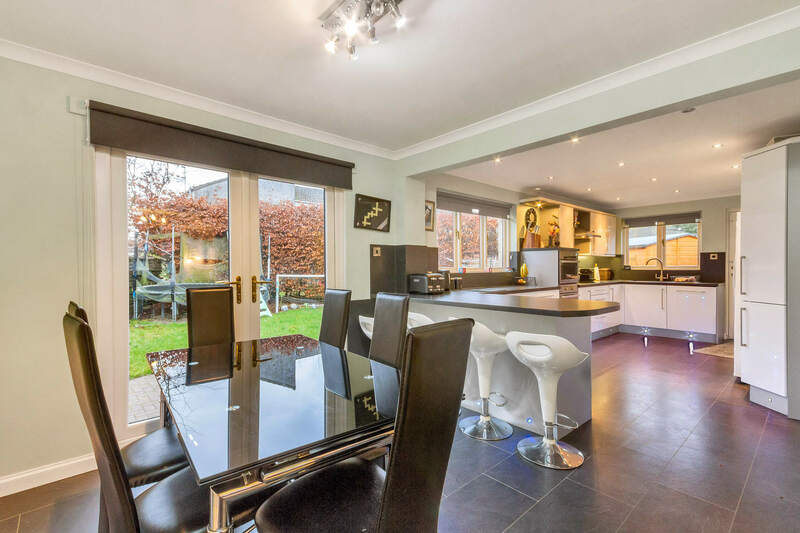 The breakfast area is ideal both for entertaining and everyday family dining. French doors give access to the rear garden. Decorative coving, vinyl flooring, an archway leads through to the kitchen area, spotlights. Dining room/Playroom The property has been extended to the side to provide this public room. 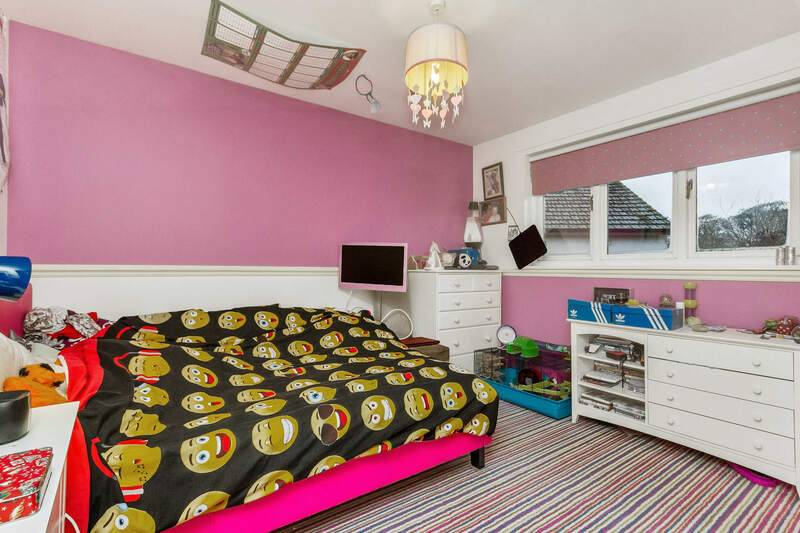 This room gives the property great flexibility in that it can be put to numerous uses. Decorative coving. Family room This second sitting room is a welcome addition in which to simply relax. Window to front, decorative coving, dado rail, pendant light fitment, TV point. Upper landing The upper landing gives access to all of the rooms from the central stairway. A hatch gives access to the attic. A window provides natural lighting. Bedroom One This is a bright and spacious double bedroom which is located to the front of the property. 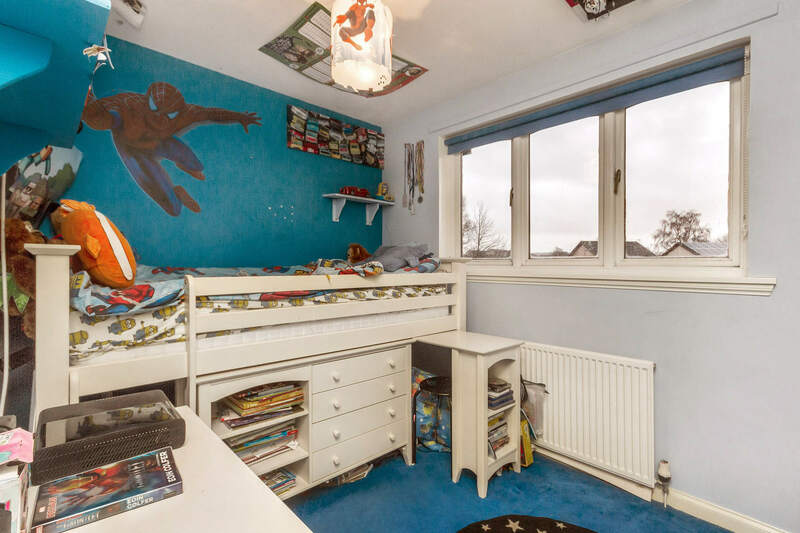 There is a large fitted wardrobe with hanging rails, shelving and mirrored sliding doors as well as two additional shelved units provide useful storage. Pendant light fitment, TV point. En-suite Shower room Modern fitted en-suite with white suite which comprises back to wall toilet, vanity style wash hand basin with low-level storage and recessed shower cubicle with thermostatic shower fitment and front entry glazed enclosure. There is aqua panel lining to ceiling height within the cubicle, recessed down lighters, window to front, tiled floor, fitted shelving and cabinet. 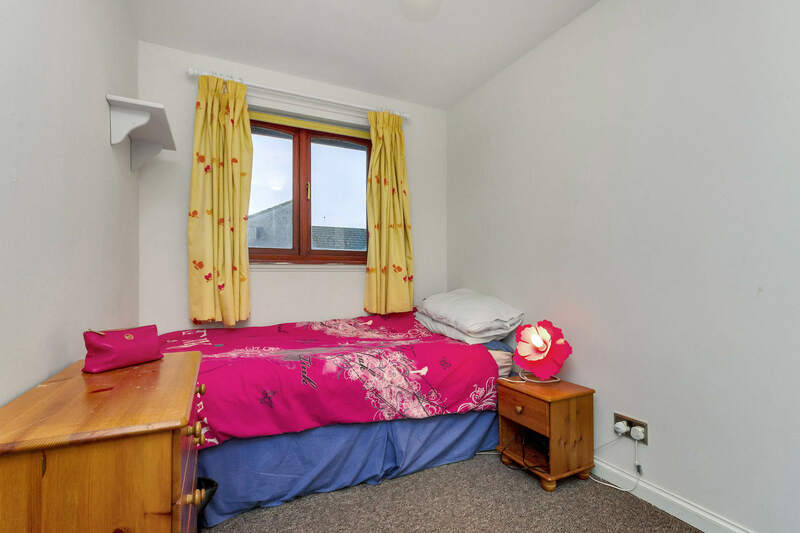 Bedroom Two Located to the rear of the property with aspect to the south-west this is an ideal guest or family bedroom which is well presented. There is a double fitted wardrobe with hanging rail and shelf, dado rail, TV point. Bedroom Three The third bedroom is located to the rear and is a bright and spacious single. Fitted wardrobe. 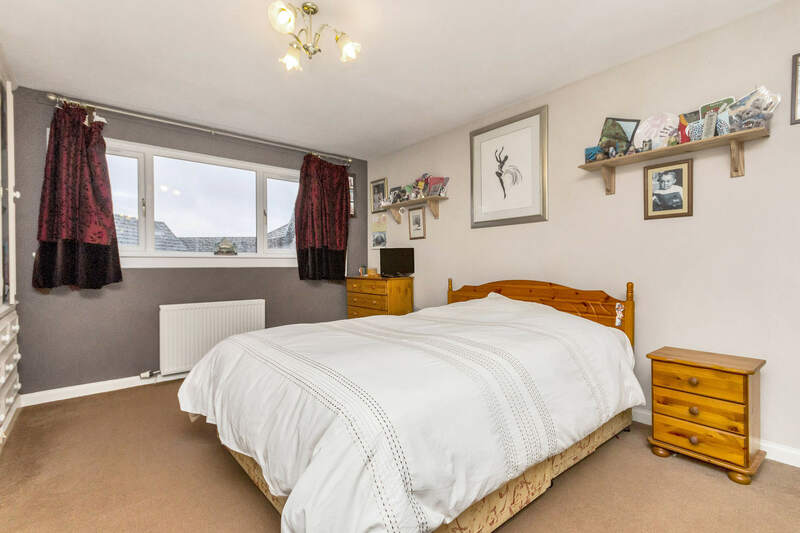 Bedroom Four This is a bright and spacious single bedroom which is again well presented. There is a large walk-in wardrobe. 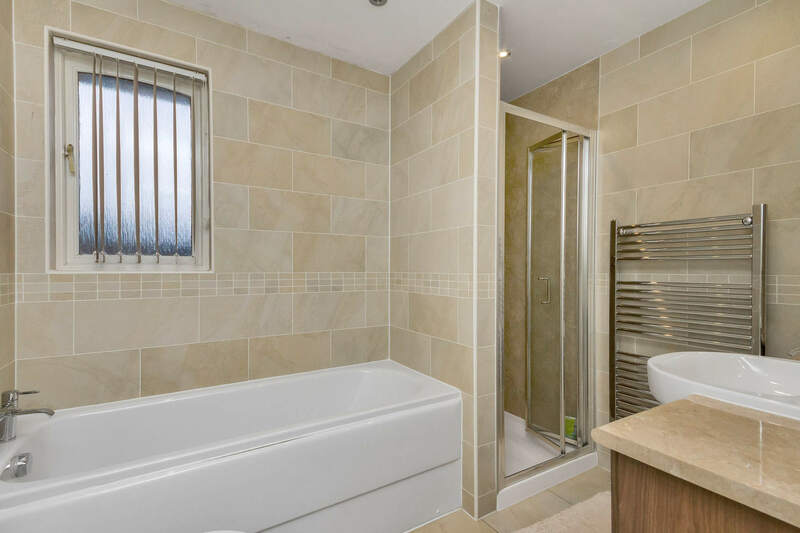 Bathroom Large family bathroom with white suite which comprises twin flush back to wall toilet, vanity style wash hand basin with low-level storage, bath and separate shower cubicle with thermostatic shower fitment and front entry folding glazed shower enclosure. 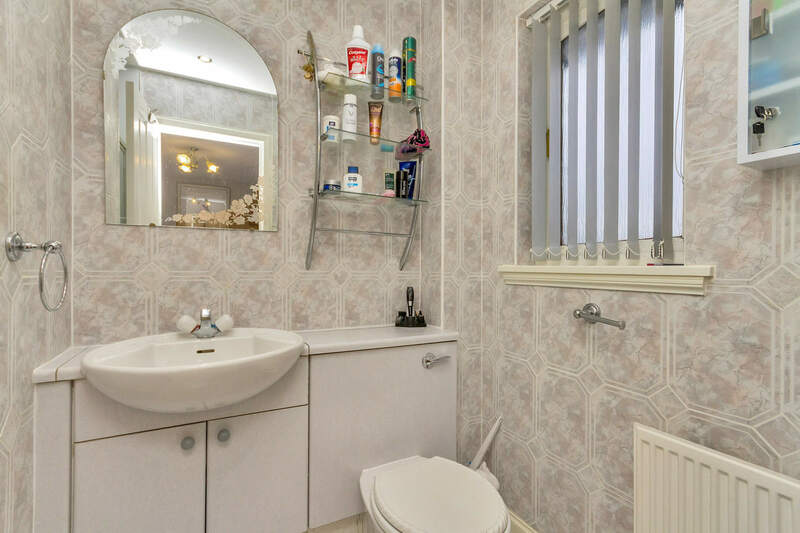 There is aqua panel lining to ceiling height within the cubicle and all the remaining walls are lined to ceiling height in ceramic tiling, tiled floor, heated towel rai, recessed down lighters, window to rear, linen cupboard provides storage. Extras All carpets. Blinds, the hob, double oven, extractor hood, dishwasher and LG fridge freezer are included in the sale. Central Heating A gas-fired central heating system has been installed. Double Glazing All windows are fitted with double glazed sealed units. Garage & Parking There is a large single detached garage with power, light, plumbing for washing machine and with an up and over door. There is storage in the eaves. To the front there is a large mono block driveway that provides off-street parking for the family’s cars. Gardens There is an area of garden to the front which is laid in gravel with one or two easily kept shrubs. External lighting. To the rear a large timber shed provides abundant storage space. There is a small paved patio which traps the summer sun, paved bin store area. There is a large mono block terrace which is ideal for barbecues in the summer. The rear garden is enclosed by Beech hedging and stone walls. There is an area of lawn which is easily maintained and a chipped area to the south side with a further paved patio. External lighting.